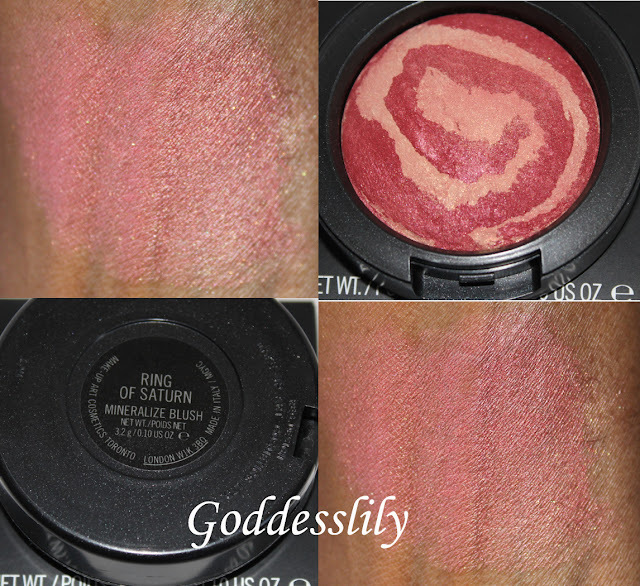 Ring of Saturn is a medium, terracotta color with a subtle, golden sheen. This is a great color to use if you want a bronzed-plus-peachy color on the cheek as an alternative to a flushed pink or red color. Stratus is a deep terracotta color mixed with deep plum and golden shimmers. I have similar comments for this color as I do for Ring of Saturn. 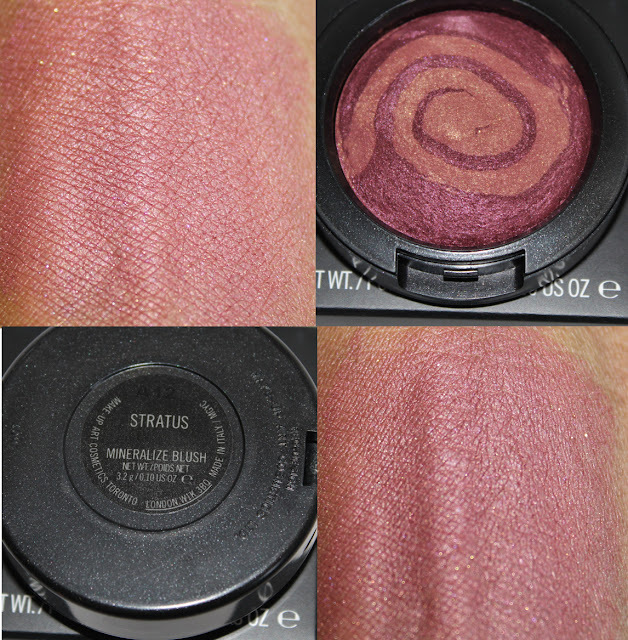 Stratus is deeper and has a purple undertone instead of a peach undertone.